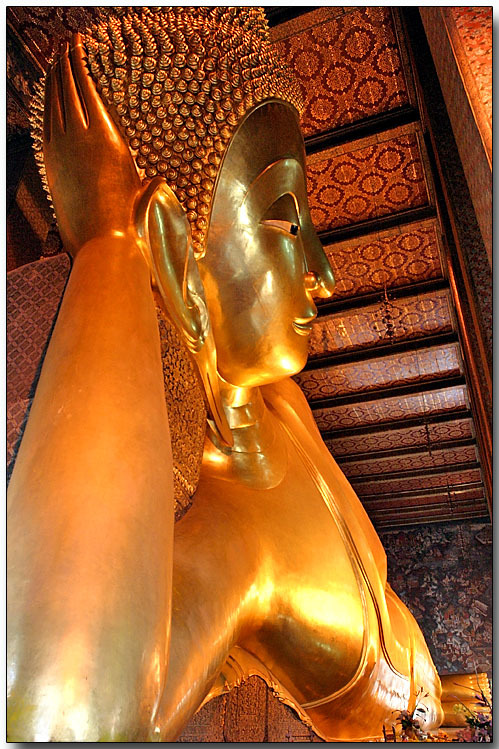 Wat Pho, or Wat Phra Chetuphon as it is generally known to the Thais, is primarily known for the huge Reclining Buddha statue it houses. At 20 acres large, it is the largest Wat (Thai for temple) in Bangkok, and is technically the oldest too, as it was built around 200 years before Bangkok became Thailand's capital. Today the Wat bears virtually no resemblance to that originally constructed, as it was almost entirely rebuilt by Rama I when the capital was moved to Bangkok. It holds the dual honors of having both Thailand's largest reclining Buddha image and the most number of Buddha images in Thailand.